The Motorola Photon Q 4G LTE for Sprint an Android-powered smartphone with a 5 row slide-out QWERTY keyboard for fast, easy typing.The Photon Q makes it easy to share all your favorite pictures, videos and files wirelessly. You'll have lots to share too, thanks to the advanced 8 megapixel/ 1080p-capable rear-facing camera and HD front-facing camera. Access thousands of Android apps to enrich your Motorola Photon Q experience. Order your Motorola Photon Q with FREE car dock and rapid charger from Wirefly for a limited time only. A great smartphone AND your new in vehicle GPS, hands free and digital music source. When placed in the Free Vehicle Navigation Dock, the Photon Q automatically activates the Vehicle Mode Application with new in-car menus. 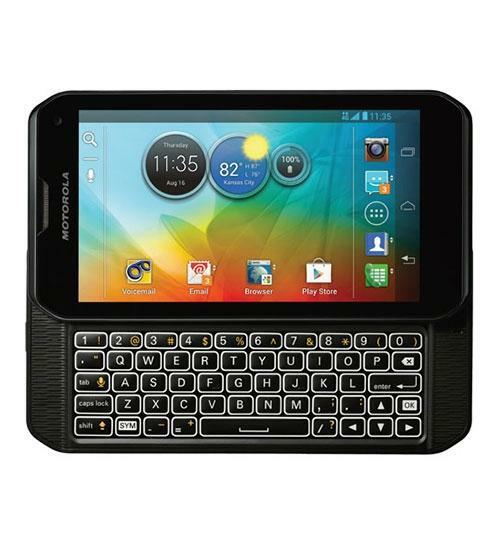 If your a fan of slide-out QWERTY keyboard Smartphones than you need to check out the new Motorola Photon Q 4G LTE for Sprint. Get a tour around the new Motorola Photon Q 4G LTE smartphone for Sprint from Wirefly's Scott Lewis. You will get to see the Android 4.0 Ice Cream Sandwich operating system, the brilliant HD display, and the slide-out QWERTY keyboard. The Motorola Photon Q 4G LTE is one of the only high-end smartphones on the market today with a slide-out QWERTY keyboard and international compatibility. In this full review video Wirefly's Scott Lewis covers the Photon Q 4G LTE from top to bottom. You will get a tour around the Android 4.0 operating system, in-depth coverage of the camera, benchmark testing scores, and other important information about this new exciting phone. Get the first look at the exciting new Motorola Photon Q 4G LTE for Sprint in Wirefly's latest Unboxing Video. Wirefly's Scott Lewis will show you what comes with the Motorola Photon Q 4G LTE when you buy it. You will also see the main features of the Photon Q 4G LTE and why you might like one. One of the standout feature of the Photon Q 4G LTE is the back-lit slide-out QWERTY keyboard. The keyboard has a great look and is easy to use for faster typing. Thanks to Sprint, PhoneDog is giving away a ton of devices this holiday season! Unannounced Windows Phone 8 features; Sparrow acquired by Google; Motorola Photon Q & more!